Isolation from mammalian tissue. Built on SPRI paramagnetic bead-based technology, the Agencourt DNAdvance Kit is a high throughput genomic DNA (gDNA) isolation reagent kit enabling the purification of high quality DNA from mammalian tissue samples. 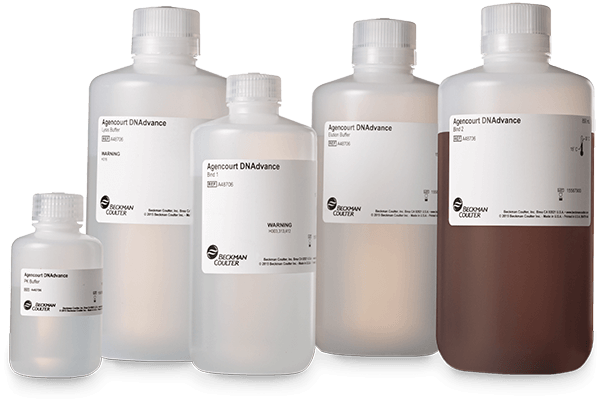 The Agencourt DNAdvance Kit offers greater recovery of high quality gDNA when compared to equivalent DNA isolation kits from competitors.